It is an exciting time here at the California Museum of Art Thousand Oaks ("CMATO ") as we are becoming a premier museum in the Southern California region. CMATO is a participatory museum – which means visitor engagement is paramount and collaboration is key. It's a place where people connect and experiences are shared. Pop-Up Art at the Oaks Mall celebrating Corita Kent's 100th Birthday with free screen printing activities led by CSUCI Professor Jasmine Delgado and assisted by her student Abel Ayala. Collaboration with City of Thousand Oaks, CSUCI, Corita Art Center and CMATO. Tish Greenwood, Executive Director and Tony Principe, Chairman of the Board receiving State of California accommodation. 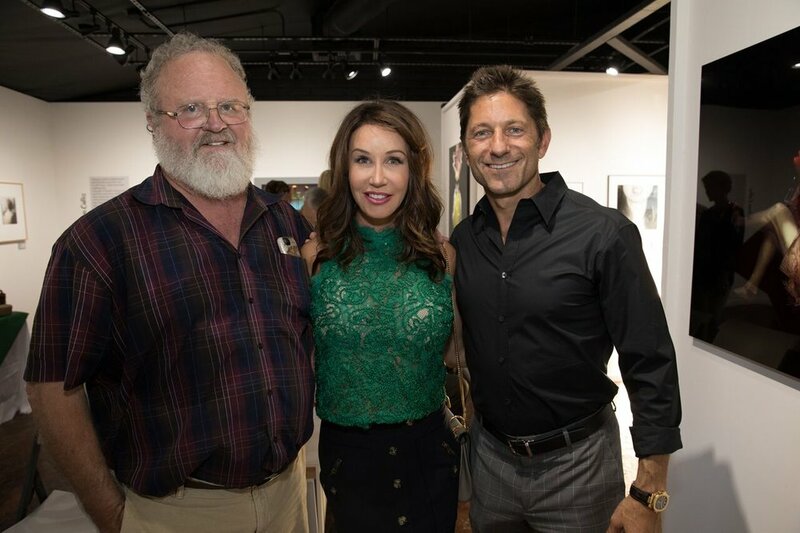 Larry Janss, Jennifer and Tony Principe at Femmes Photo Fest Opening Reception at CMATO's Exposed exhibition. Since 2016, our membership has grown, our reputation has increased and we have secured key community and business leaders to support the museum through sponsorship and large donations. We are truly becoming a place where people are connecting and are excited that we continue to develop innovative programs that challenge, entertain and provide lifelong learning opportunities. CMATO is a collaborative inclusive environment where ideas flow and implementation follows. It is a collaborative workspace that is fueled by the local citizenry to bring world-class art to the area. Our stakeholders passion to build a cultural space for the community (especially for their children), keeps us pressing on to achieve our highest ambitions. Tony Principe, Chair of our Board, is a dedicated and steadfast leader who works closely with the Executive Director, Tish Greenwood, to ensure that the business side of the organization is on solid footing, including investment in our infrastructure. In addition, Tony’s leadership provided for two substantial gifts to CMATO: Shawn and Letal Skelton ($100,000) and Larry Janss ($100,000). Both donors are compelled to provide the means for CMATO to be a cultural gathering place for generations to come. 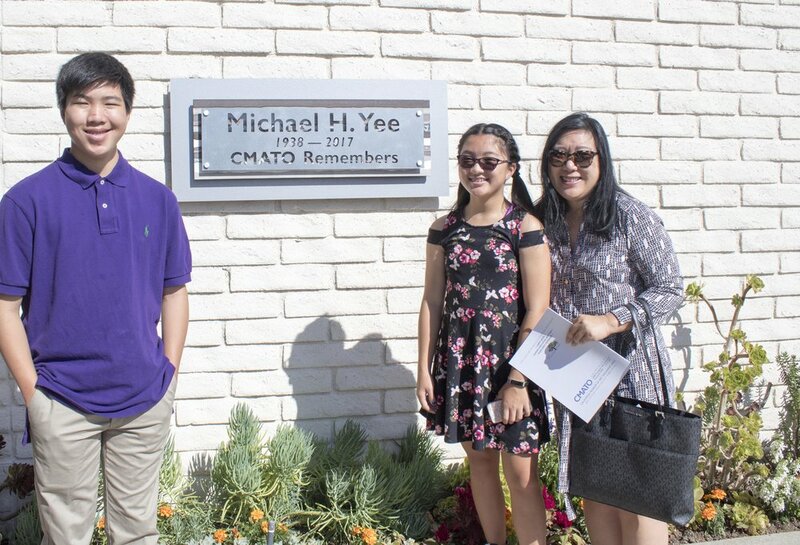 A descendant of one of Thousand Oaks’ founding families, Janss increased his financial support to CMATO after a formal review of the museum’s plans for its future. Michael H. Yee dedication ceremony. Mike was our museum founder whose insights, energy and commitment lit a fire in many of us to support CMATO. Melodee, Matthew and Devin Yee (Halm) pictured above. Board Members Nancy Chappell and Pat Brubaker with Executive Director Tish Greenwood.